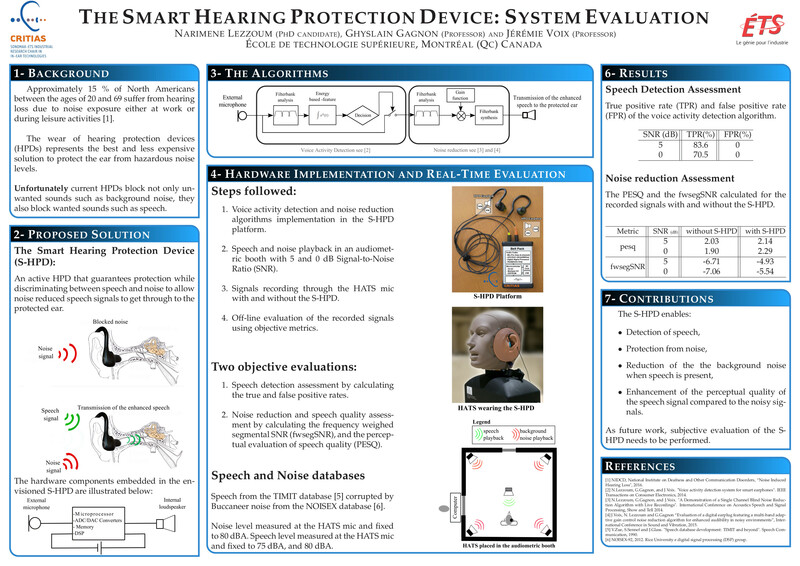 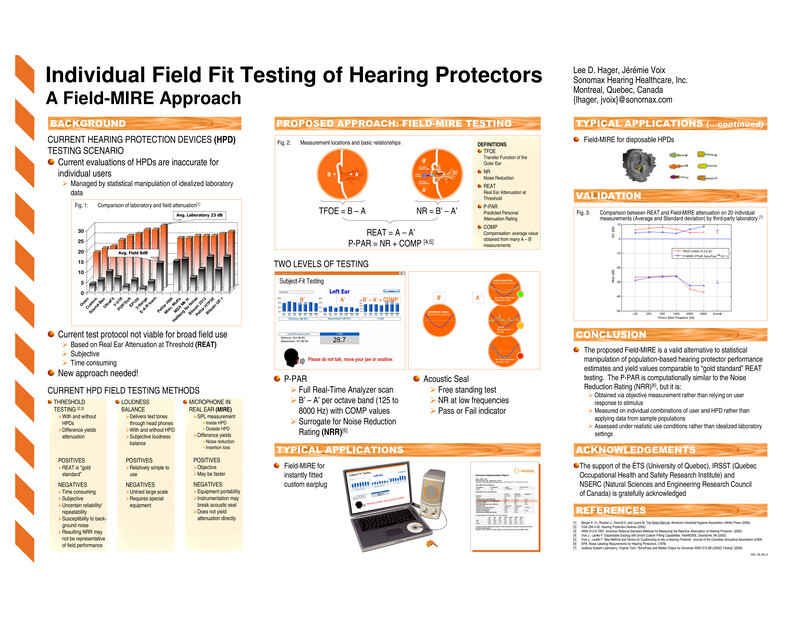 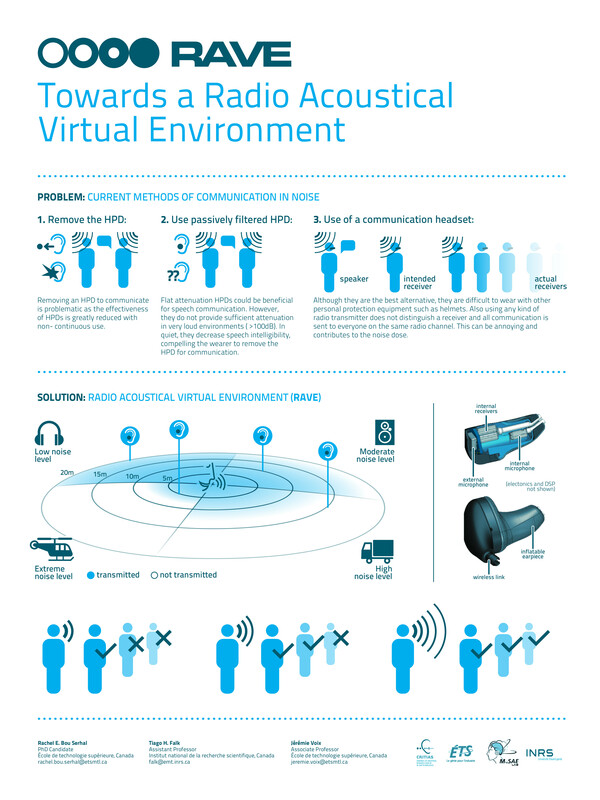 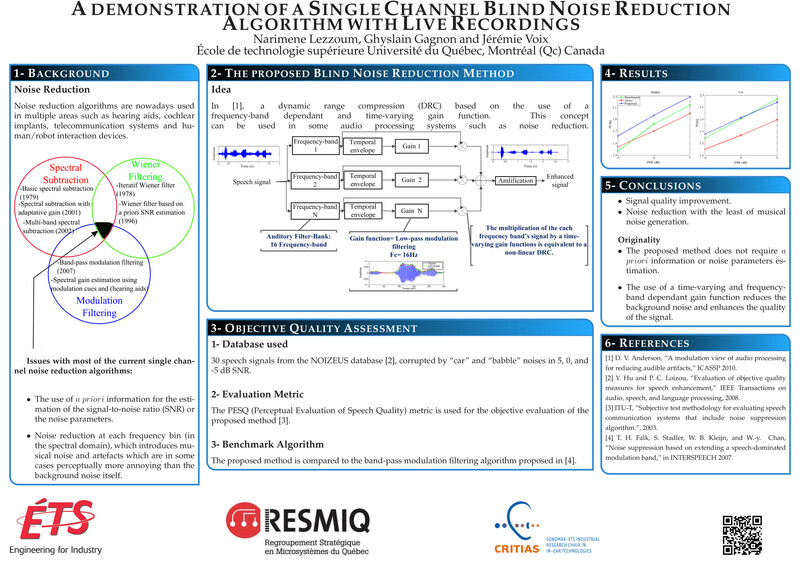 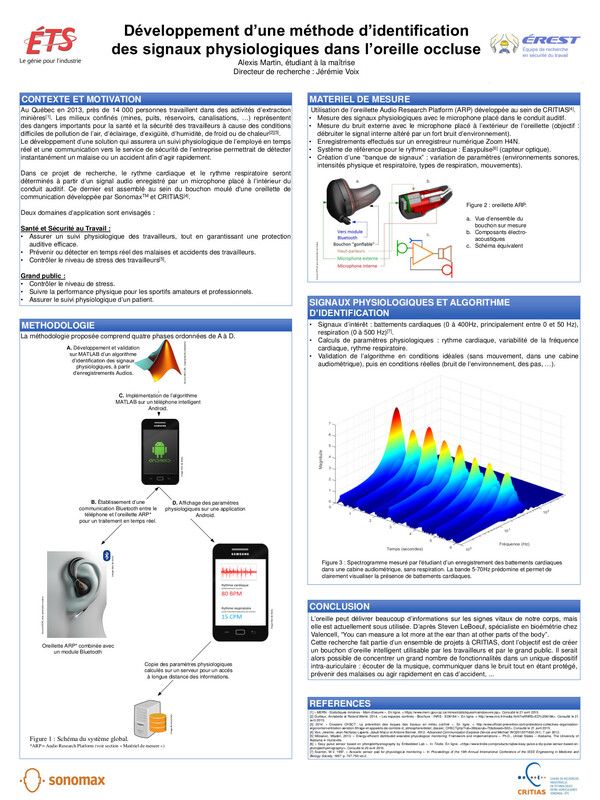 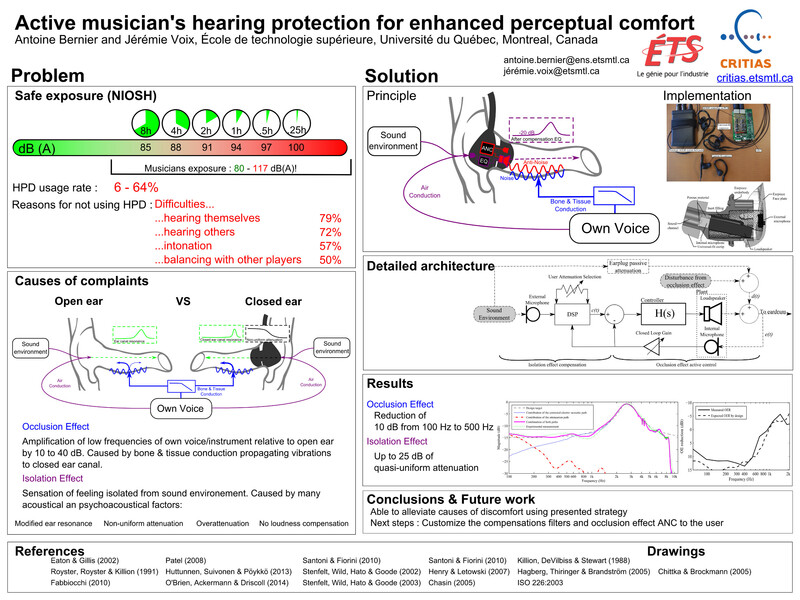 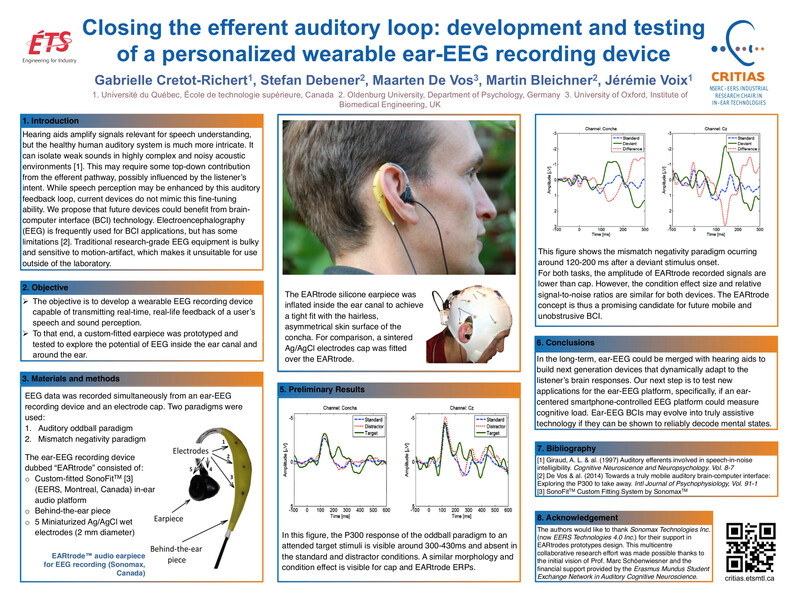 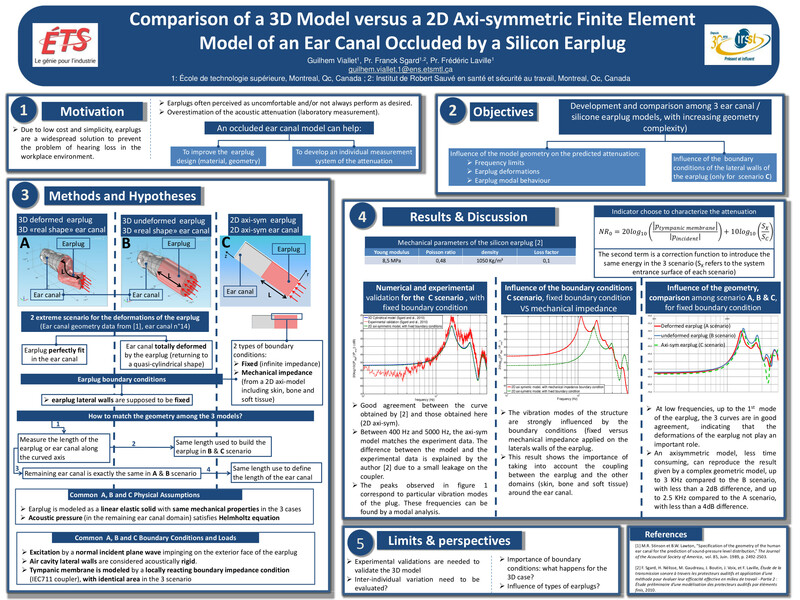 The NSERC-EERS Industrial Research Chair in In-Ear Technologies (CRITIAS) was created in September 2016 as part of a long-standing and successful partnership between EERS (previously Sonomax) and École de technologie supérieure (ÉTS).The partnership was initiated in late 1999 when Jérémie Voix began doctoral work on the development of an “intelligent” earplug under the direction of Professor Frédéric Laville of ÉTS. 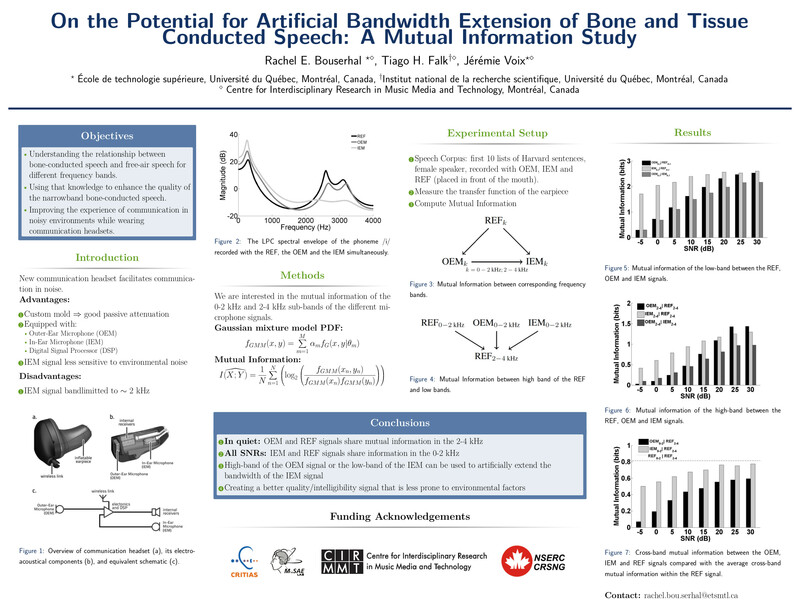 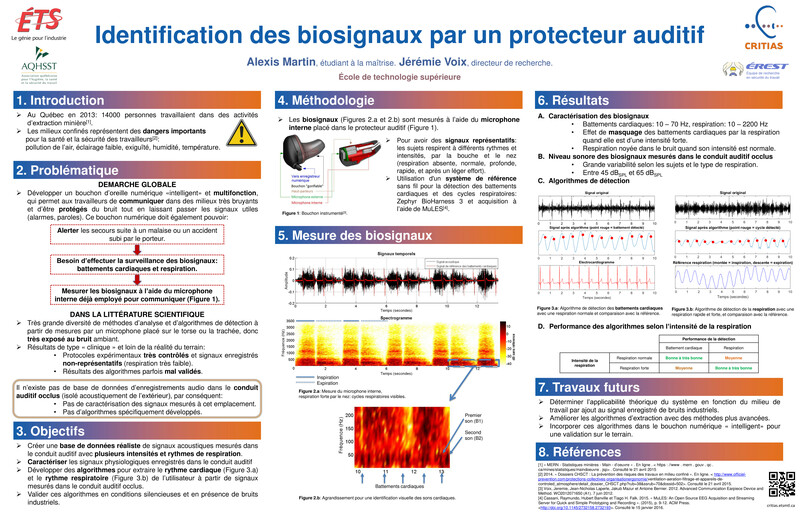 With financial support from the NSERC Collaborative Research and Development Grants Program and from the Institut de recherche Robert-Sauvé en santé et en sécurité du travail (IRSST), the young researcher launched his work and quickly established himself as an R&D leader. 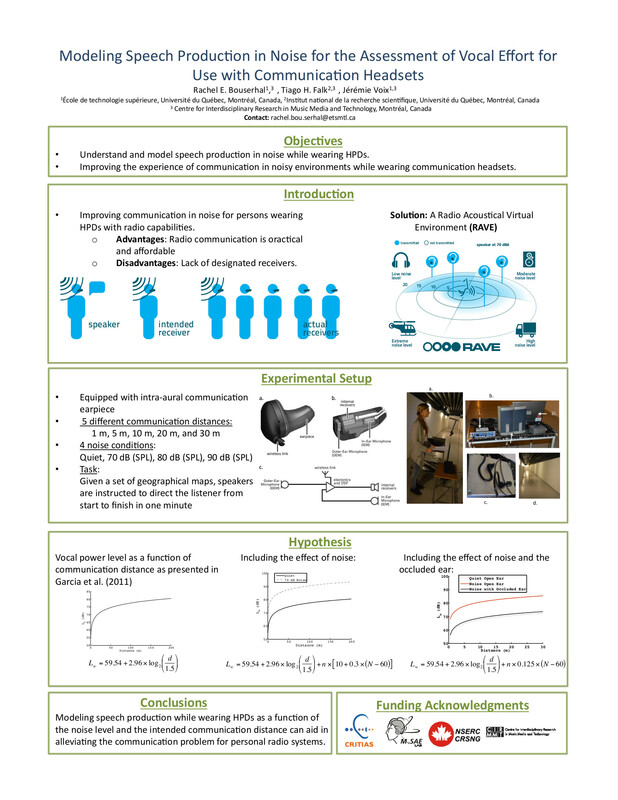 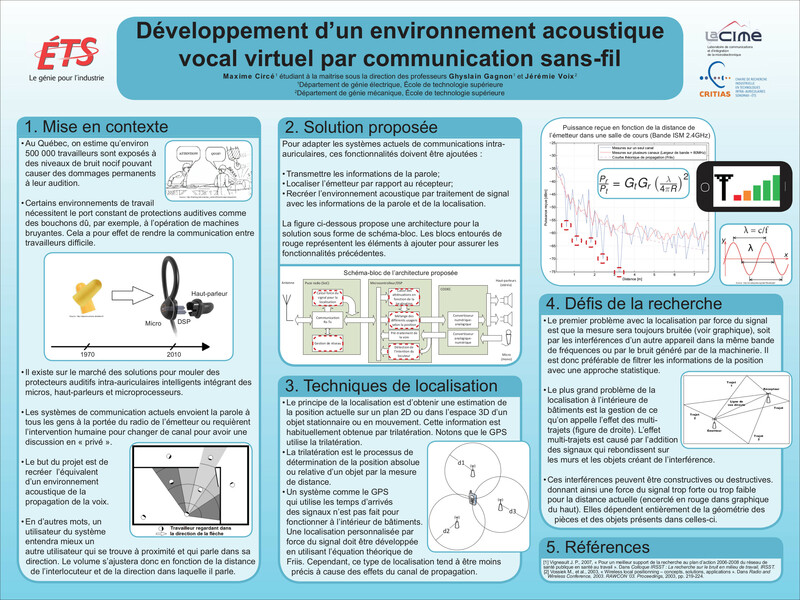 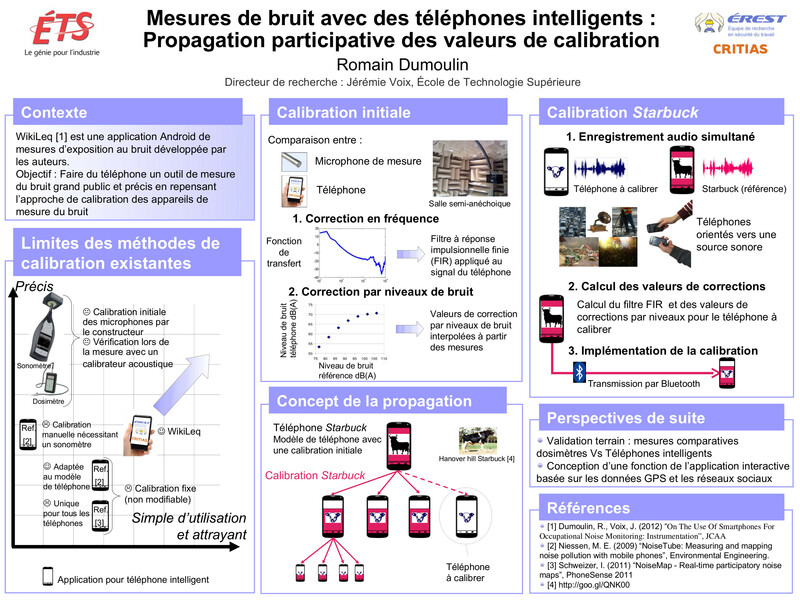 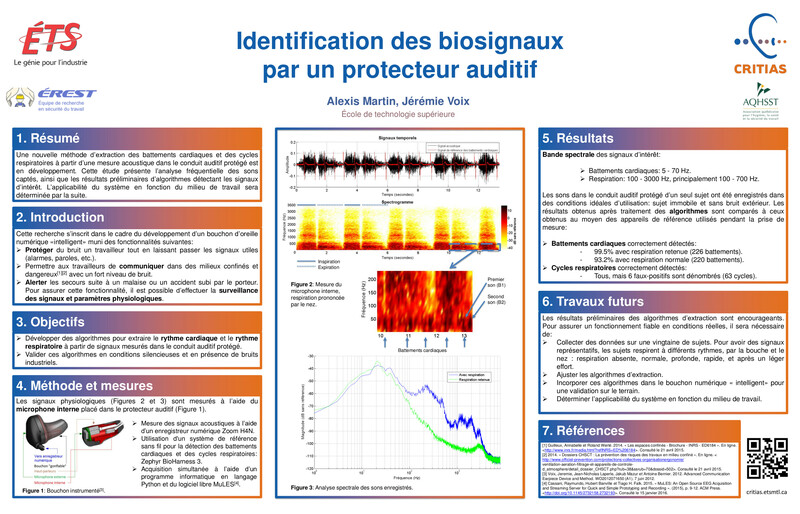 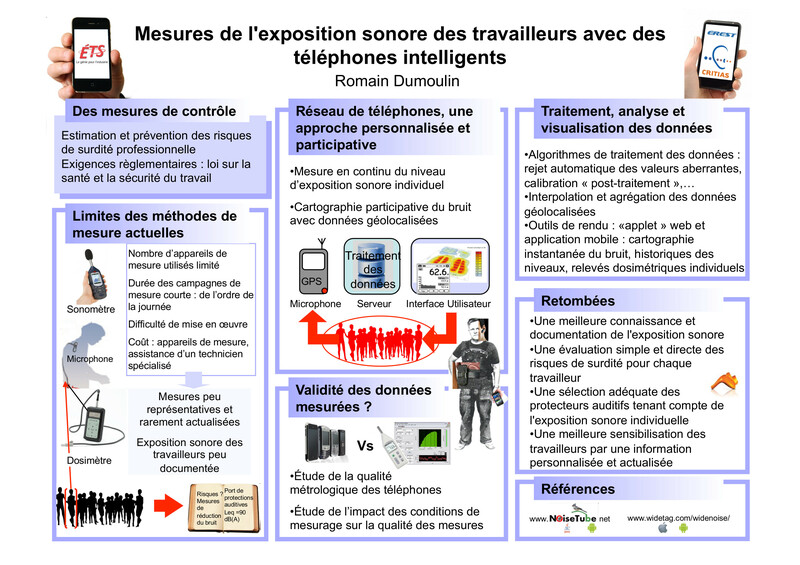 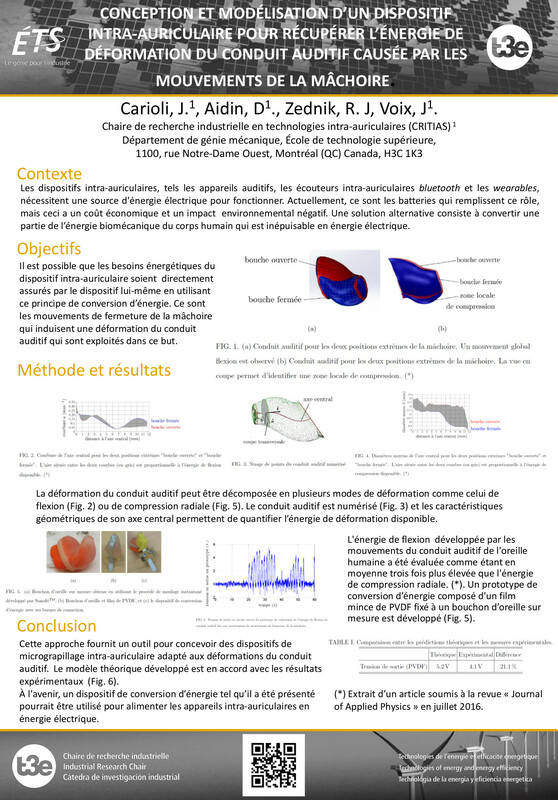 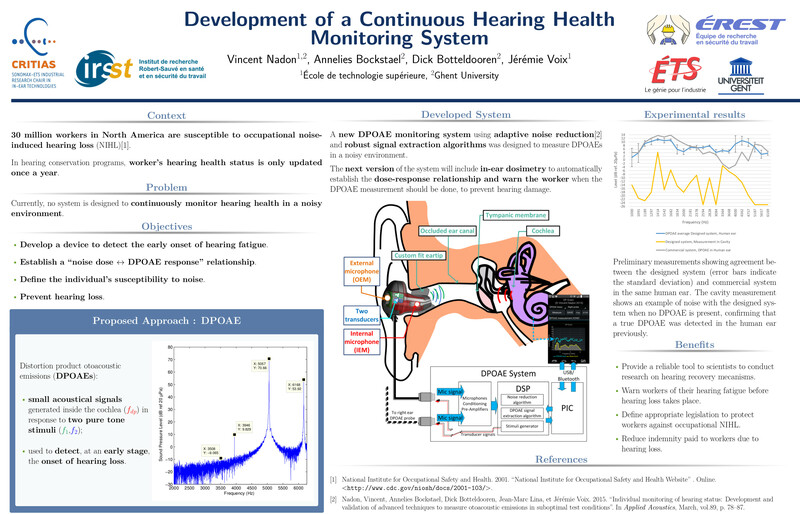 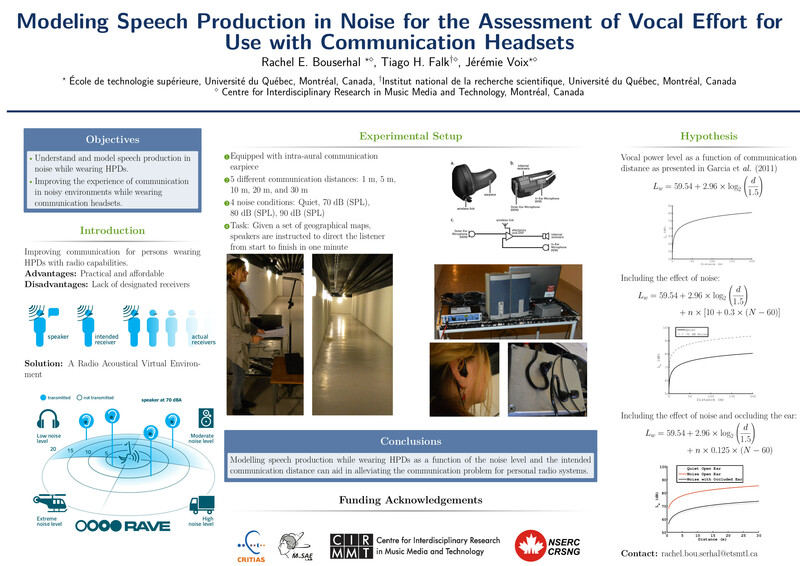 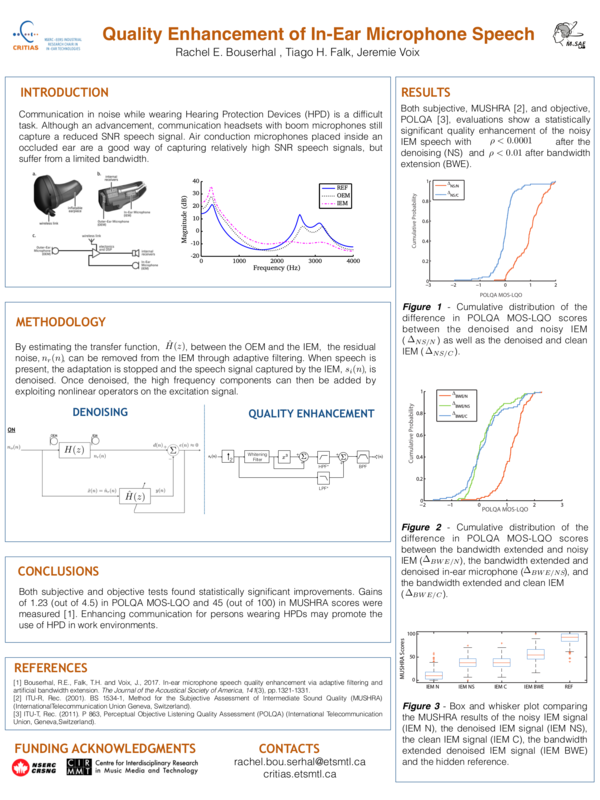 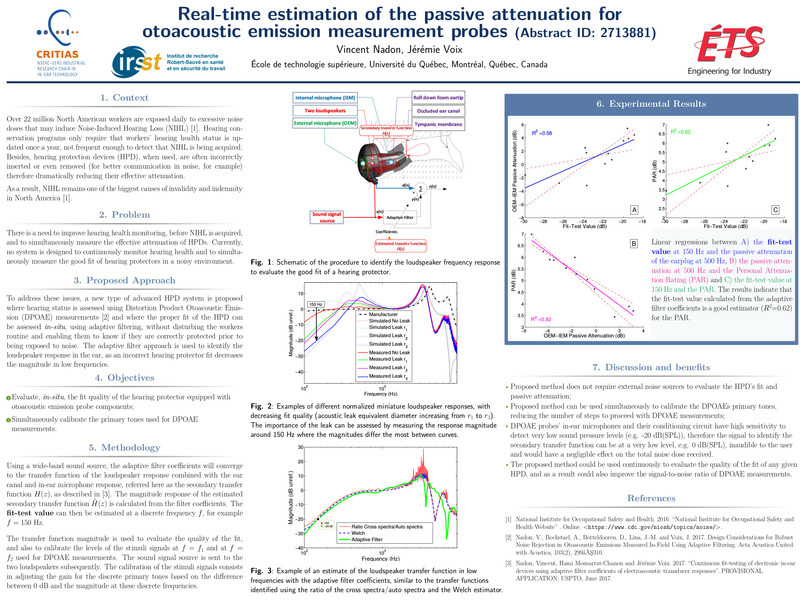 Working together, Jérémie Voix and the team, led by Nick Laperle, developed a unique technology designed to protect industrial workers from noise-induced hearing loss (NIHL). 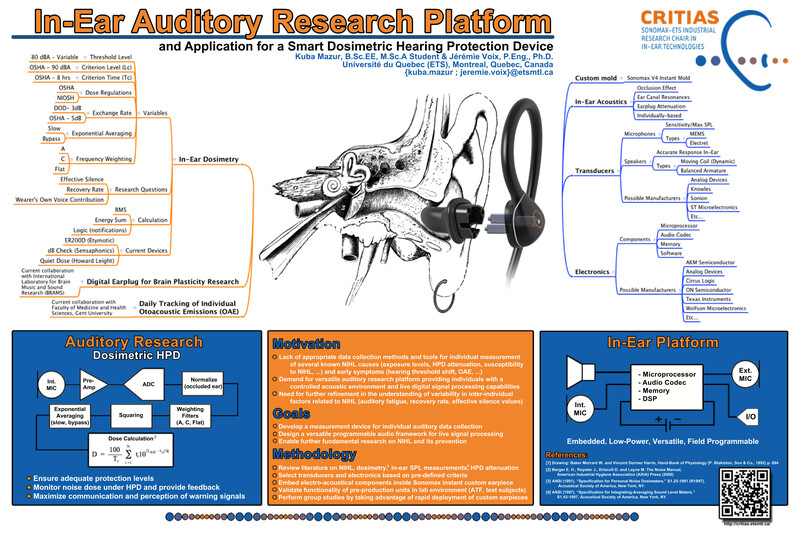 The resulting hardware and software solution, is protected by over 50 patents and trademarks and has been marketed all over the world. 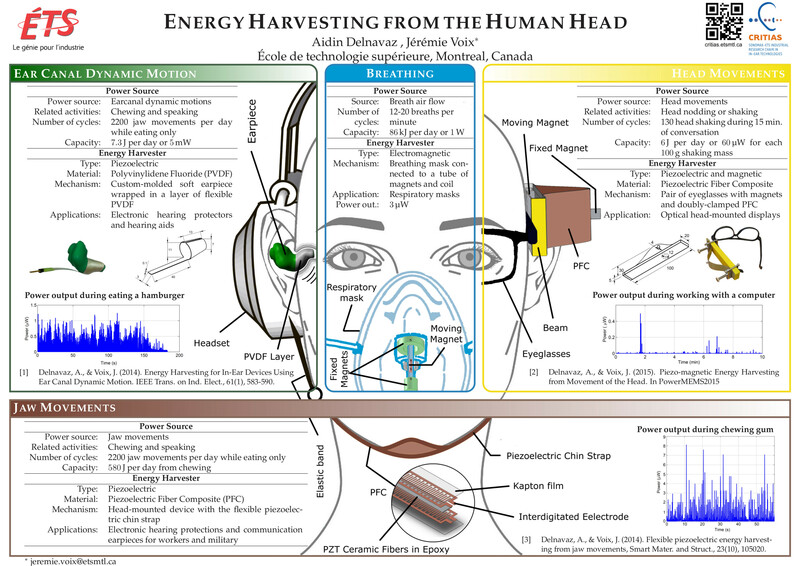 Following 10 years of collaborative work, the partnership became more firmly established when Jérémie Voix accepted a position as an Associate Professor at ÉTS and founded the CRITIAS Research Chair in 2010, now supported by the National Science and Engineering Research Council of Canada (NSERC) and dedicated to his original quest: to develop a true “bionic” ear that provides effective protection, amplification, communication, monitoring and biosensing within a single in-ear device. 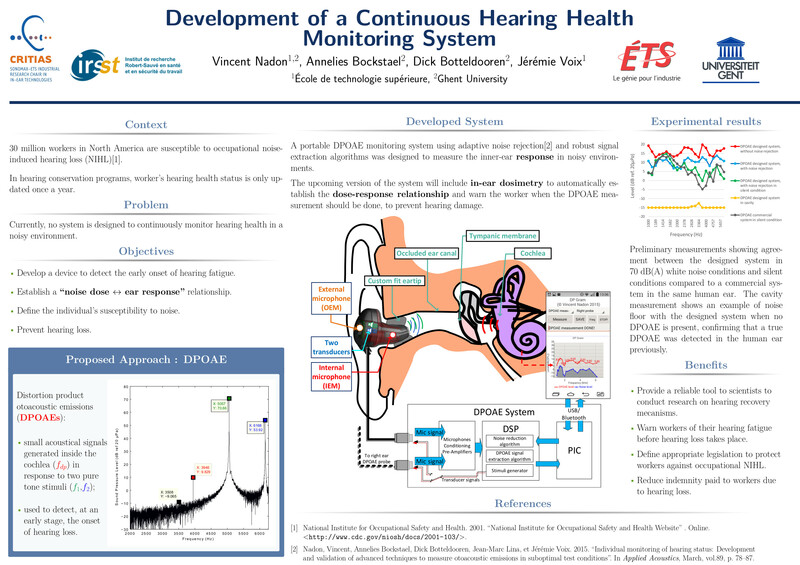 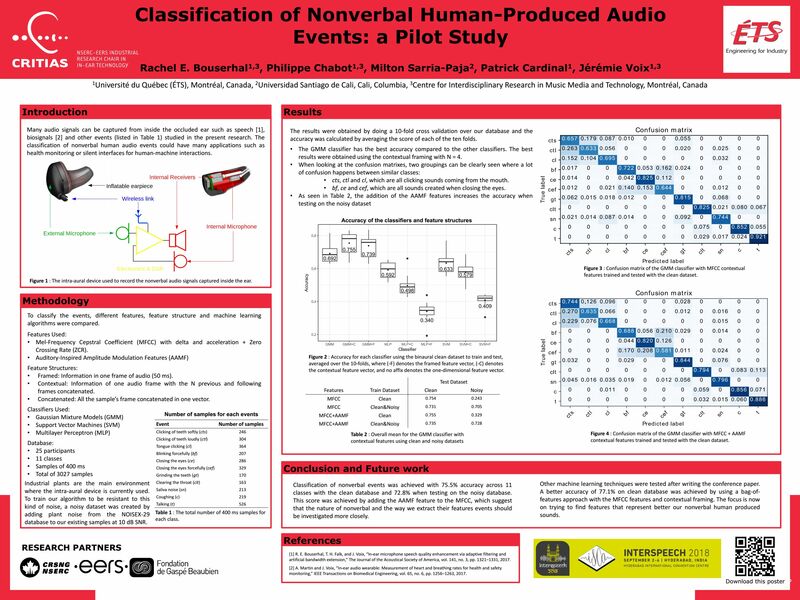 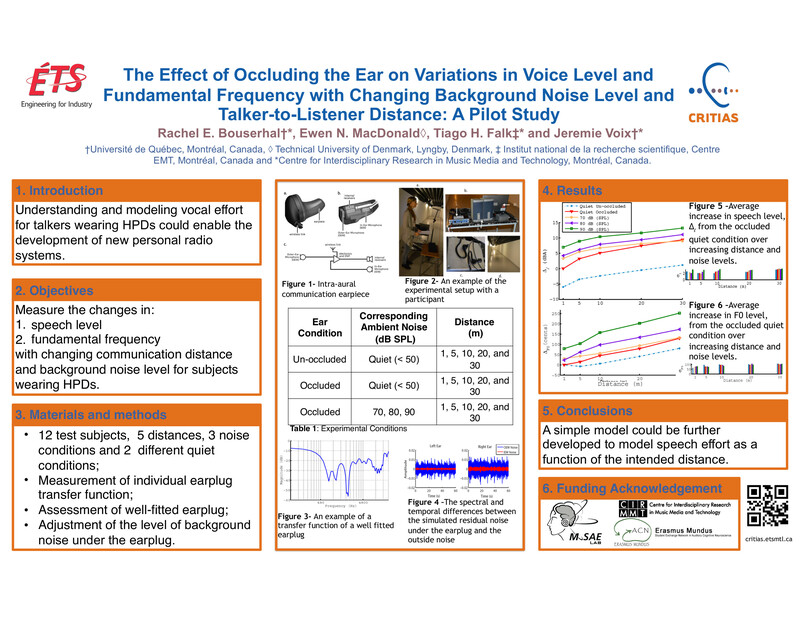 Together, Nick Laperle and Jérémie Voix won first prize at the 2016 “Hear and Now” Noise Safety Challenge hosted by American federal government agencies.